A few weeks ago, I attended a teach-in on climate change sponsored by Pioneer Valley (Massachusetts) Climate Action. The speakers were professors – three scientists, a sociologist, and a peace and world security studies professor – from five colleges in the area. The picture that they presented was bleak. Michael Klare, author of The Race for What’s Left: The Global Scramble for the World’s Last Resources (Metropolitan Books, 2012), spoke about the rapid depletion of natural resources and said that he fears battles for survival around the planet as humans fight for what remains. As Klare spoke, a sense of dread moved through my body. The picture that he painted was not new to me, but, as I let it in, I felt the horror and fear that are natural responses to such a possible future – and, in fact, to much that is going on in the present. As an educator in the Antioch MBA in Sustainability program, I take in information about planetary crises on a regular basis. How do I hold such information and continue to teach with a sense of hope and enthusiasm about creating a sustainable human presence on the planet? To do so, I believe that I must come to grips with how I personally deal with fear, hope, and possibility as a human being on planet Earth in the early twenty-first century. If I am unable to acknowledge – to myself and others – my emotional reactions to the world I find myself in, if I am unable to develop personal resilience in light of our global challenges, then I am unlikely to be helpful to others who struggle with their own fears and hopes about all that we face. In developing my response to our situation, it’s been important to acknowledge to myself and to talk with others about the feelings that my emerging awareness has generated. It seems to me that it would be helpful for sustainability educators and practitioners to have such conversations with one another. One of the challenges in initiating such conversations is that, in the United States, our dominant culture does not well support the expression and acknowledgment of emotion. Crying is called “breaking down.” Anger often generates a fight, freeze, or flee response from others. We may avoid people who are grieving. We fear fear. And we sometimes disparage hope and enthusiasm. An educational paradigm that has focused on our intellects to the relative neglect of our physical, emotional, artistic, social, ecological, and spiritual selves has, in general, left us – as a culture – inadequately equipped to respond in helpful ways to deep emotional experience. I was encouraged when I came across the work of Joanna Macy,a long-time ecophilosopher and activist. A central principle of her work is that “pain for the world, a phrase that covers a range of feelings, including outrage, alarm, grief, guilt, dread, and despair, is a normal, healthy response to a world in trauma” (Macy & Johnstone, Active Hope, p. 67). When we experience and share our emotions skillfully, “[r]ather than feeling afraid of our pain for the world, we learn to feel strengthened by it” (p. 66). To acknowledge and yet not get stuck in my pain and fear, I find it useful to have a working conceptual model that enables me to make some sense of the turbulence and uncertainty we face. Joanna Macy’s and Chris Johnstone’s Active Hope: How to Face the Mess We’re in without Going Crazy (New World Library, 2012) provides such a framework. These authors propose that we are in a period of historic change that requires rethinking the fundamental assumptions that guide the organization of human life on earth. Macy and Johnstone suggest that there are three major stories that shape peoples’ views of our current situation. Business as Usual assumes that our current economic and societal paradigm will continue to work. People who live in this story may argue about how best to proceed to address our problems, but they don’t question the fundamental assumptions of the current paradigm. In the second story, the Great Unraveling (a term borrowed from David Korten), economic decline, resource depletion, climate change, mass extinction of species, and social division and war will result in worldwide catastrophe and misery. The third story, the Great Turning describes “the essential adventure of our time. It involves the transition from a doomed economy of industrial growth to a life-sustaining society committed to the recovery of our world.” They assert that, “This transition is already well under way” (p. 26). As partial evidence for the Great Turning, they cite Paul Hawken’s contention that we are in the midst of “the largest social movement in history” (Blessed Unrest, Penguin, 2007). Hawken states, “…I now believe that there are over one – and maybe even two – million organizations working toward ecological sustainability and social justice” (p. 2). The story of this huge social shift is not told in the mainstream media, which focus on discrete events. According to Macy and Johnstone, “We might need to train ourselves to see the larger pattern and recognize how the story of the Great Turning is happening in our time. Once seen, it becomes easier to recognize” (p. 27). This framework enables me to consciously choose my stance within our global context. If we are in the midst of an historic global shift, no wonder our societal institutions – from the economy to health care to education to government – are struggling. No wonder we hear clashing perspectives on the nature of reality and what we need to do to create a better society. Our natural and human systems are under stress and in a process of realignment. There is no guarantee as to how things will unfold, but there is hope, and I have a choice as to how to use my influence to support the creation of a sustainable, inclusive, and just society. Knowing that millions of others are also making such choices, I can see my actions as part of a dynamic transformation that is happening all over the planet. While holding all that I have said above in mind, I also have been more deeply exploring the nature of fear itself – and of its close relation, anxiety. While not suppressing or denying my feelings, can I move toward letting go of fear and anxiety as typical responses to the state of the planet? Chronic anxiety and fear can diminish physical and mental health and can reduce my general resilience. Can I move toward courage, compassion, and internal peace as my more typical inner state, no matter what the external circumstances? To address these questions, I have turned to various spiritual and wisdom traditions that offer helpful perspectives and practices. Engaging in practices such as focusing my consciousness in the present, not being bound to my thoughts, and cultivating compassion for myself and others supports a shift to a more healthy inner state. I don’t want to give the impression that I live in this healthy inner state all, or even most, of the time. For me, the development of a more courageous and grounded self has been – and continues to be – a lifelong and nonlinear process. I am entirely capable of being fearful, cranky, and even snarky. Watching politics on television, for example, does not always bring out my best. But, over time, I see desirable changes in my way of being and an increased capacity to respond with calm and clarity. This better enables me to respond compassionately and effectively to the emotional experiences of others. We are most likely in for a prolonged period of turbulence as we move through historic change. Sustainability is a multi-faceted endeavor, and the challenges facing the planet have amplified for us all the opportunity for personal development. As sustainability educators and practitioners, we need to be intentional about the development our own emotional resilience – and to support one another in the process – so we may ably support our students and others as together we face the fears and engage the hopes and possibilities of our time. A colleague recently suggested I watch a Youtube video of Ram Dass interviewing Thich Naht Han. In order to experience, truly experience the changing world around and within ourselves, we must cultivate the capacity to know, to intimately see and experience, impermanence and how we relate to the fact of it. For example, we here in New England know the seasons change. Do you have a favorite season? Are you acquainted with how you relate to its impending arrival? Do you savor each day greedily, be it warm summer swims or frosty ski runs? Do you mourn the passing of this season with longing, melancholy or outright sadness? Do you find yourself complaining to yourself or others when the expected weather conditions do not materialize. We KNOW that seasons come and go, that weather patterns change and yet, we plan and organize and react to these changes with grasping and resistance. And, we suffer for it in ways large and small. What would it mean to live our knowing of this impermanence and acting based upon it, unhooked from the cycle of desire, longing, and aversion? Would we love our “favorite” season less, or would we be more contented with the ever-changing flow of the natural world around us? I challenge each of us to experiment with this simple idea and see where it takes you. It puts me in mind of the reasons why I believe so strongly in the development of the field of Educating for Sustainability. 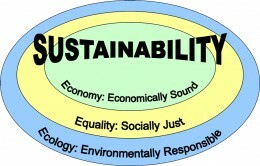 The need for the conscious development of a culture of sustainability is rooted in our default tendency to take as permanent our current conditions. As a species and as individuals, we do not act as if the health of the earth is urgently essential for our survival. We do not treat our planet as if every single thing we need to stay alive and every single thing we possess arises from it and it alone. But this is the case. 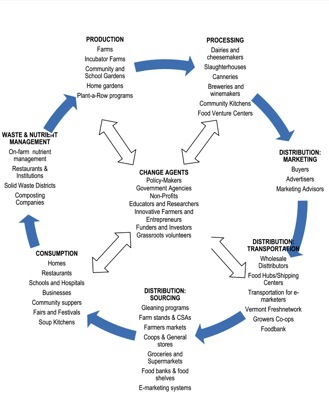 Educating for Sustainability is rooted in the idea that we have to increase the capacity of individuals and groups of people to act in ways that will ensure survival for ourselves and the ecosystems on which we depend. It’s not enough to understand that our lifestyles are unsustainable, we have to do something about it. In addition, those of us who live in this affluent, abundant culture of plenty, must understand that our situation is intimately connected to lives of others whose basic human needs are not met. We know this intellectually, but we do not act based on that knowledge. Or maybe more accurately, we do not change our activities based on that knowledge. And yet, we must know on some level, like the changing of the seasons, it’s only a matter of time until the affects of global resource degradation confront us at our own door step. Higher prices for food and fuel, being perhaps just the first small symptoms of much larger changes to come. So, in developing our mindfulness practices, are we also developing our capacity to take on the challenges of creating a sustainable present and future? I hope that this post will be the first in a series of explorations of the link between mindfulness and Educating for Sustainability. Please add your thoughts and comments. We would also be very interested to know about work happening in the intersection of the fields of Mindfulness and Educating for Sustainability, so please feel free to send links and share information on resources.